After a conference opening sweep over the Boll Weevils of Enterprise, the Pirates fought a very tough Wallace-Selma club to a series split, dividing both double headers at each site. Game 1 was a methodical scoring process by the Pirate offense in their 5-0 opening game win, as CVCC scored single runs in the 2nd through the 6th inning. Casey Cobb pitched in his usual series opening start and tossed another gem, going 6 1/3 innings, allowing only 3 hits and striking out 5 along the way. In a game of small ball, that saw the Pirates execute 8 successful sacrifices, both of the bunt and fly ball variety. A Jon Jon Foster leadoff double led to a 1-0 lead on Isaac Phillips sacrifice fly in the 2nd. In the 3rd, Jayson Cook led off with a bunt single and was moved to 2nd on Jaylen Smith’s bunt, then stole second and scored on Carson Hughes’ sac fly. Up 2-0, Brandon Hill doubled in the 4th, stole 3rd and scored on Phillips RBI groundout. Again, in the 5th, Cookie reached on a single and advanced to second on a throwing error. Another Smith bunt led to Hughes’ second RBI on a groundout. The Pirates completed the scoring in the 6th, when Johnny Devine’s sac fly scored Foster to push the score to 5-0. With one out in the bottom of the 7th, JD Brown and Tyler Elkins combined for the final 2 outs to give the Pirates the series opening win. Game 2 saw Cole Ganopulos make his first start of the season and he tossed a beauty in 5 complete innings. Allowing only 4 hits, the only damage surrendered was 2 unearned runs on a miscommunication on pop up that allowed Selma on the board. The Pirates jumped out to a 2-0 lead early, scoring one in the second on a Carson Hughes RBI double and one more in the 3rd on Foster’s sac fly. With Ganop cruising, the miscommunication allowed the Patriots to knot the game in the 5th at 2 apiece. Sawyer Steele came on in relief in the 6th and was perfect for 2 consecutive innings to force extra innings. The Pirates seized the lead in the 8th when Brandon Hill walked and stole second base. A sac bunt by John Devine led to Tre Kirklin’s sac fly to give the Pirates a 3-2 lead. Unfortunately, things went awry in the bottom of the 8th, after Steele retired the first batter, a double and 2 consecutive walks loaded the bases with one out. 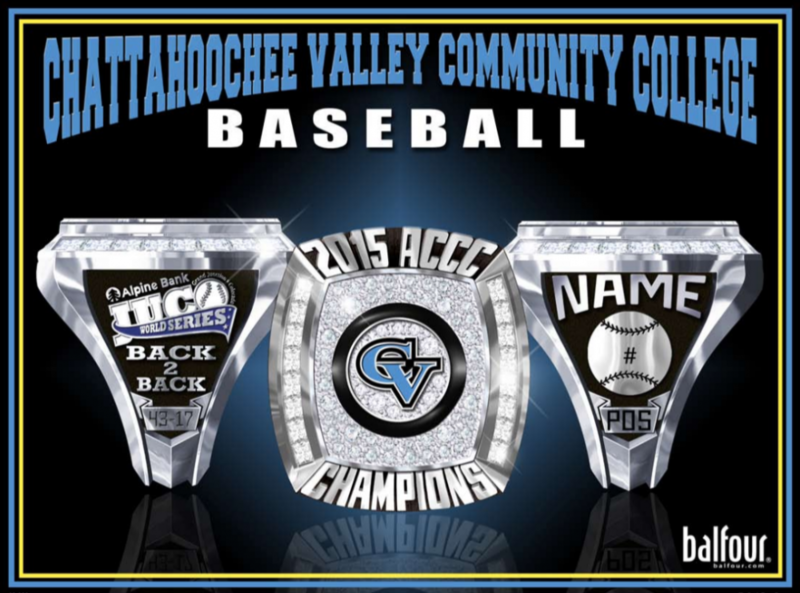 A bases loaded walk tied the game with sure defeat on the horizon for CVCC. However, an attempted suicide squeeze was popped up to Devine, who then doubled off the runner at 3rd to end the inning. Once again, Chatt Valley took the lead in the 9th on back to back singles by Phillips and MJ Rookard. AJ Willoughby’s sac bunt, led to an intentional walk to Foster. A strikeout later, things looked gloomy, but a bases loaded walk to Hill gave CVCC a 4-3 lead. The Pats didn’t lay down, as the leadoff hitter reached on an error and advanced to second on a bunt and scored on a basehit. The game ended on the following batter who singled, but an errant throw allowed the game winning, walk off run to score, giving Selma a 5-4 comeback win. Game 3 was a hangover of sorts for the Pirates, as the offense never got going. Charles Crosby got the start and surrendered 3 runs in the first 2 innings and that completed all of the scoring on the day. The Pirates managed only 2 hits on the day and threatened early, but never got anything across in the 3-0 loss. Game 4 appeared as if the unthinkable would happen, as Selma jumped out to a 4-0 lead on starter Pierce Smith. With nothing going offensively, Smith settled in and kept the Patriots off of the board allowing the CV offense to wake up. And wake up they did, as they knotted the game with a 4 run 3rd inning, when John Devine led off with a HBP, followed by a Tre Kirklin double. Another HBP to Jayson Cook loaded the bases set the stage for Isaac Phillips’ 2 run single to rightfield. An RBI groundout by Rookard cut the margin to 4-3, when Jaylen Smith delivered a 2 out single to get the Pirates back in the game. With Pierce Smith righting the ship, Hayden Siniard came on in relief in the 5th and tossed 1 2/3 innings of beautiful shutout baseball, while the offense kept churning. Backtracking, the Pirates took the lead for good in the 4th, when Kirklin singled, stole second and eventually scored on a passed ball to go up 5-4. After JD Brown retired the final batter of the 6th inning, the offense added 2 insurance runs with a single by Devine and a double by Brandon Hill, who later scored on a wild pitch to push the lead to 7-4. Tyler Elkins came on and tossed a 1-2-3 7th to preserve the win and salvage a series split.